The Viper Room & Supergoodmusic are putting on a rooftop party featuring none other than Andrew WK! 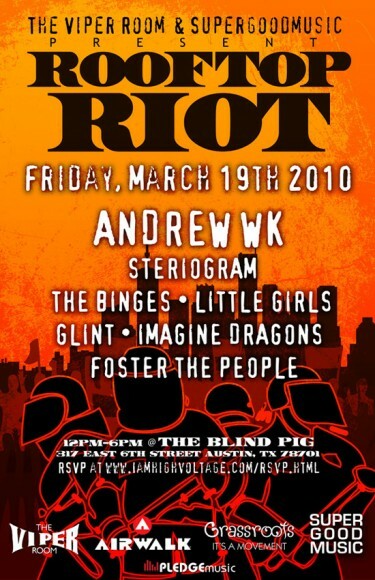 The party, on the roof of The Blind Pig, also features Glint and Steriogram. The party requires RSVP to attend. Friday March 19th – noon – 6 p.m.